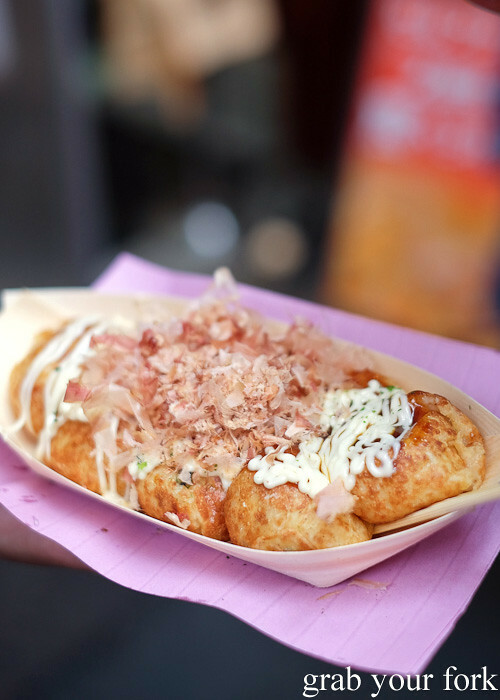 You can't visit Osaka without eating takoyaki. 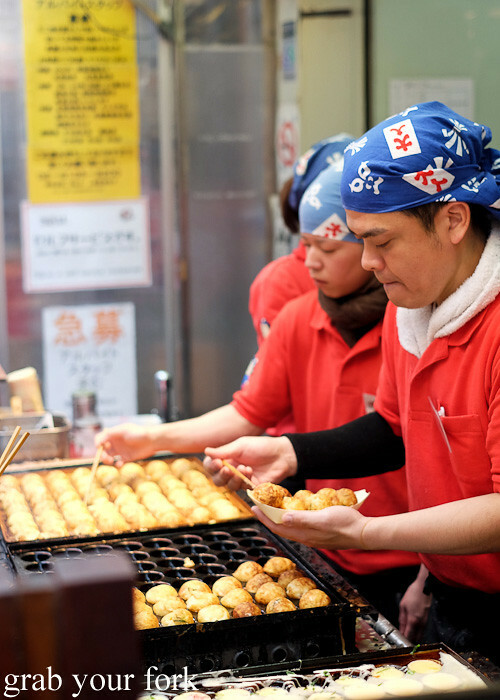 You'll find this classic Osaka street food everywhere, its production a show in itself as the takoyaki warriors spin, flick and stab each puddle of batter until they emerge as perfectly round orbs in a deep golden brown. 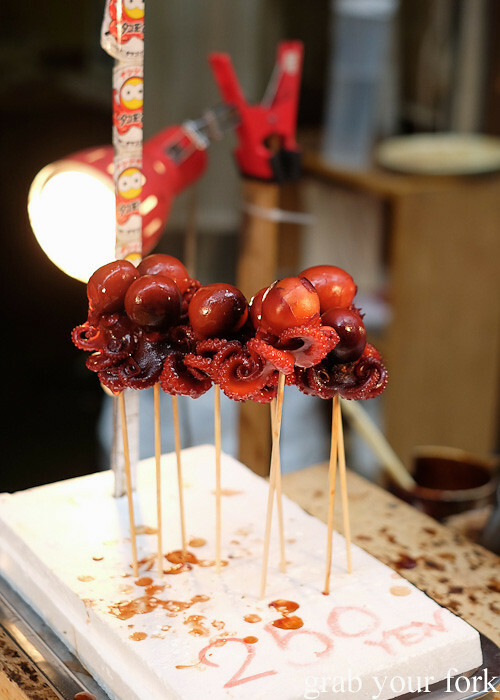 Inside the crisp shell is a jumble of chopped octopus, pickled red ginger and finely sliced shallots. Most of the time you'll end up burning your tongue as you bite into each ball, but that's half the fun. We almost burn our fingers just holding this sailing boat of piping hot takoyaki, or octopus balls, from famous takoyaki outlet Takoyaki Wanaka. 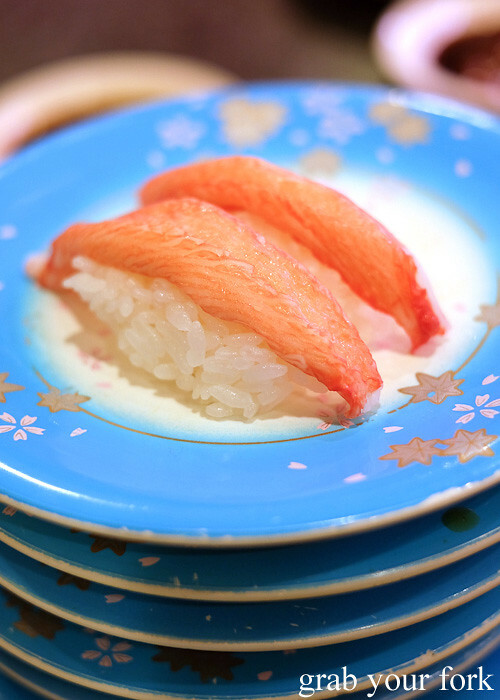 Lashings of Kewpie mayonnaise, a huge mound of katsuoboshi dried bonito flakes and a good dousing of fruity takoyaki sauce add creaminess, texture and a gentle fishiness. It's the kind of fast food you can shovel down on your own or hover around in a circle with friends, each armed with a toothpick. We made our way from Osaka from Kyoto, after a detour to see the wild deer in Nara. It's only 43km between Kyoto and Osaka, and the shinkansen will get you there in precisely 14 minutes. 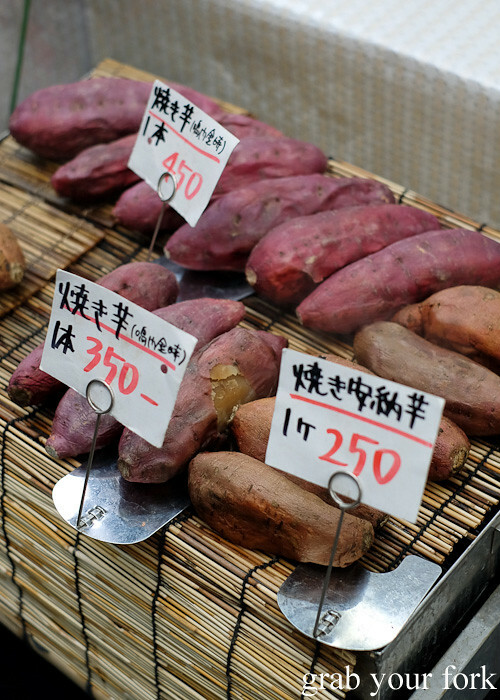 Osaka has historically been known as the "nation's kitchen", primarily due to its central significance as a merchant city, especially for rice. 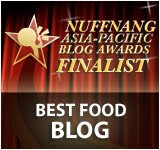 Perhaps that's also why Osakans are known across the country for their appetite for food. Osakans love to eat and drink. 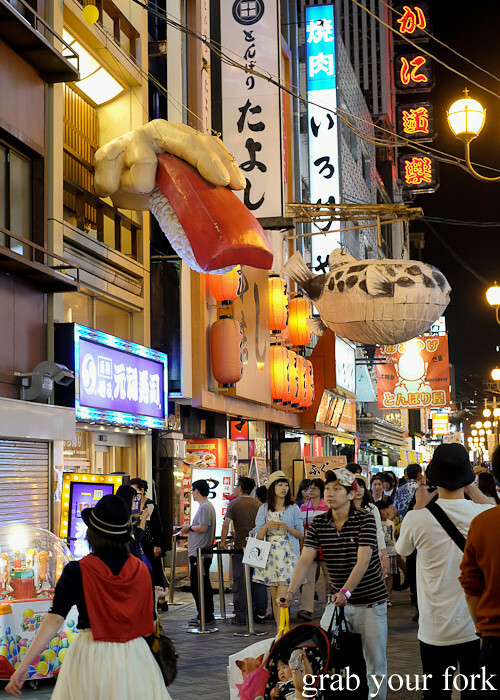 Every tourist gravitates toward Dotonbori, a pedestrian mall that runs for several blocks filled with no end of restaurants. 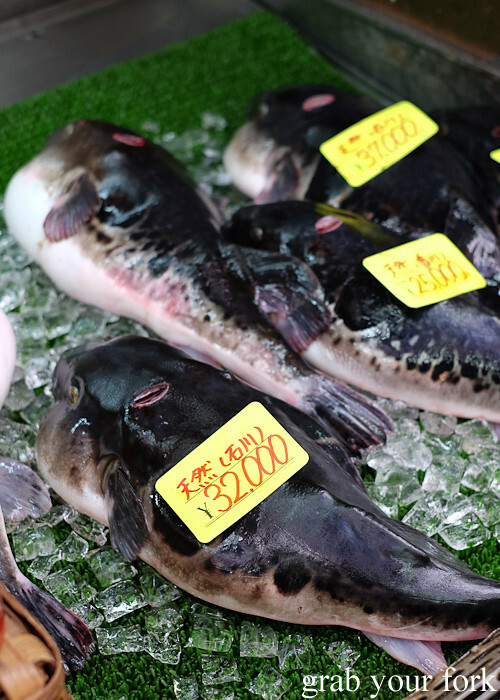 It's here you'll find the giant moving crabs above seafood restaurants, huge puffer fish lanterns and monster-sized nigiri sushi, like a food version of Godzilla. 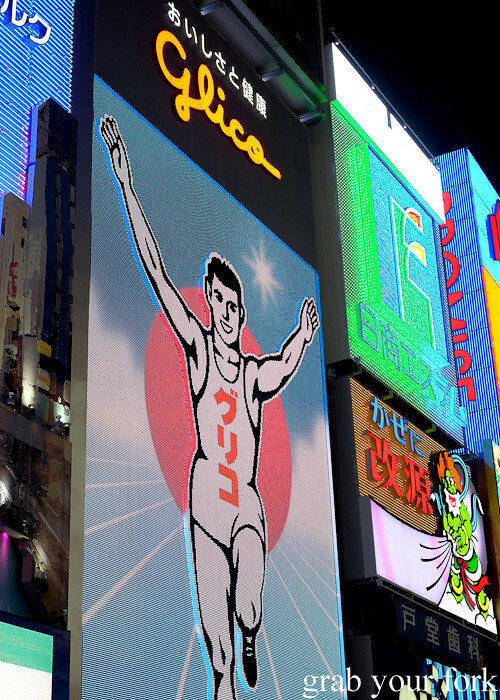 And everyone needs a photo of the Glico running man, originally installed in 1935, and an iconic image of Osaka by night. 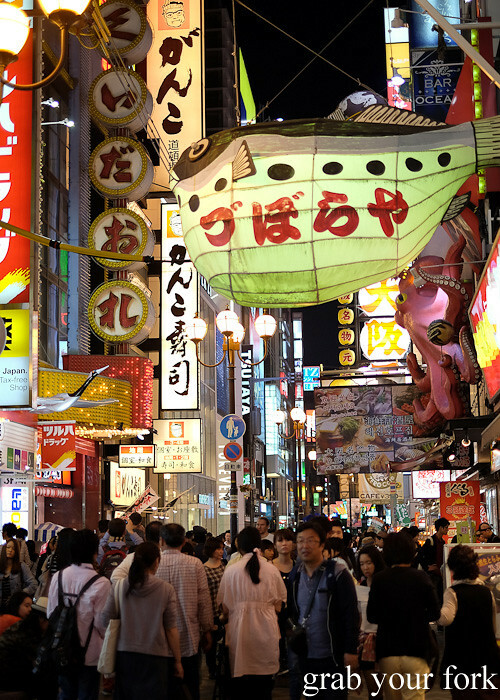 The city streets can feel claustrophobic in Osaka, the second biggest city in Japan with a metropolitan population close to 19 million. 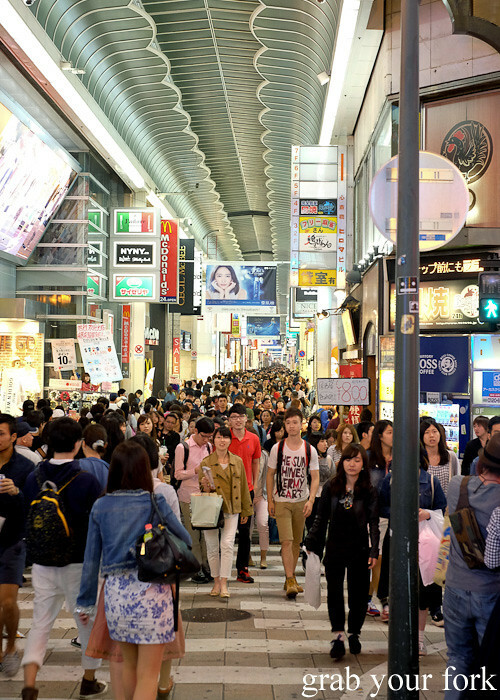 The crowds we encountered at Shinsaibashi, the main shopping area of Osaka, made us feel like we were in the middle of a New Years Eve crush. It was just an ordinary weekend in an ocean of people. We end up at DON Okonomiyaki randomly. 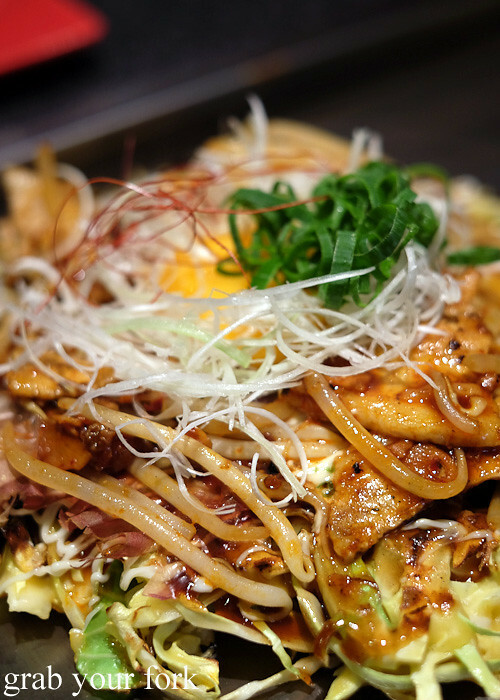 We're hungry, we want okonomiyaki and DON is the first place we find. 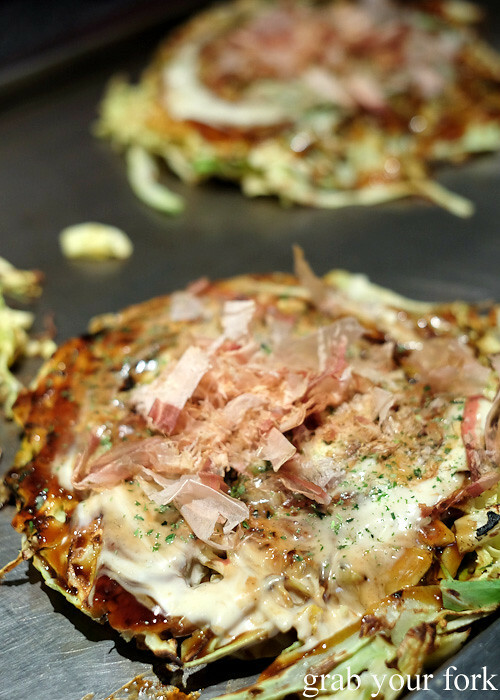 Our okonomiyaki is cooked to order in the downstairs kitchen and then served on our table grill, turned on to medium so our cabbage pancakes remain hot as we eat. The DON special is so over the top we have to have it, a shuddering behemoth of octopus, bacon, plump prawns and a genuine crab claw. 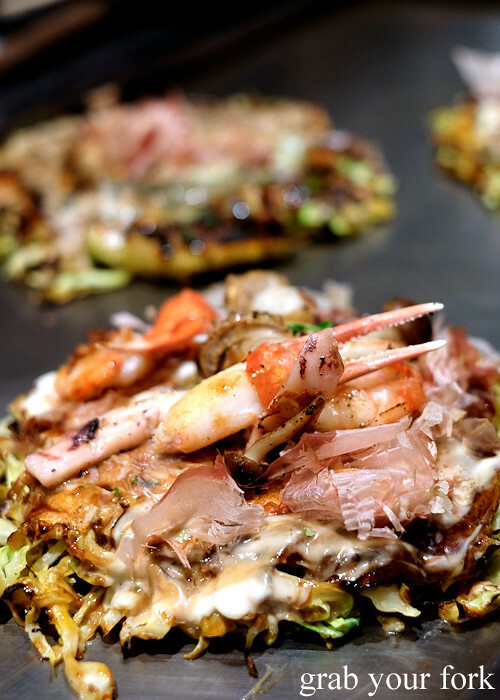 I share in the beef and cheese okonomiyaki too, the cheese melting into rivers of molten goo. 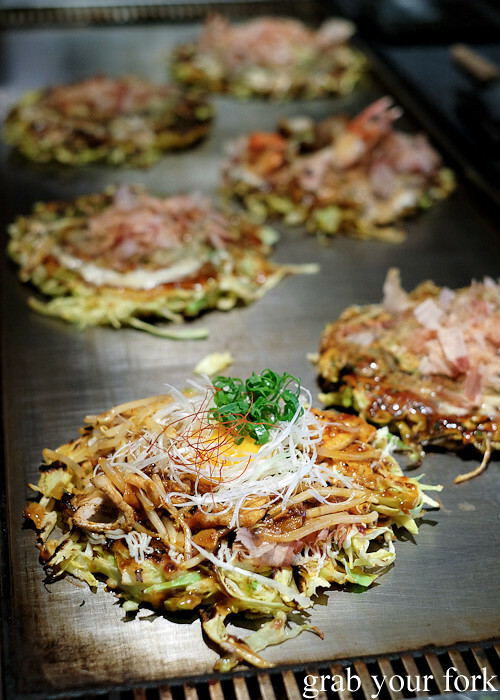 Others dig into the spicy pork okonomiyaki, liberally slathered with a fiery chilli sauce that triggers noticeable sweating. 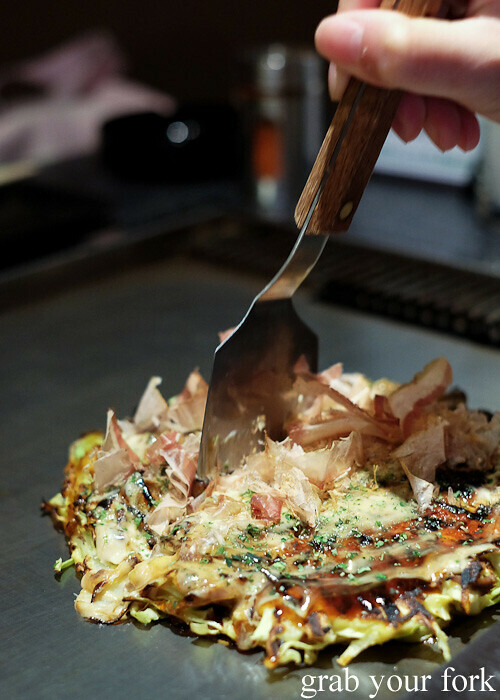 Everyone gets chopsticks and a shovel-shaped spatula to cut your okonomiyaki into manageable pieces. 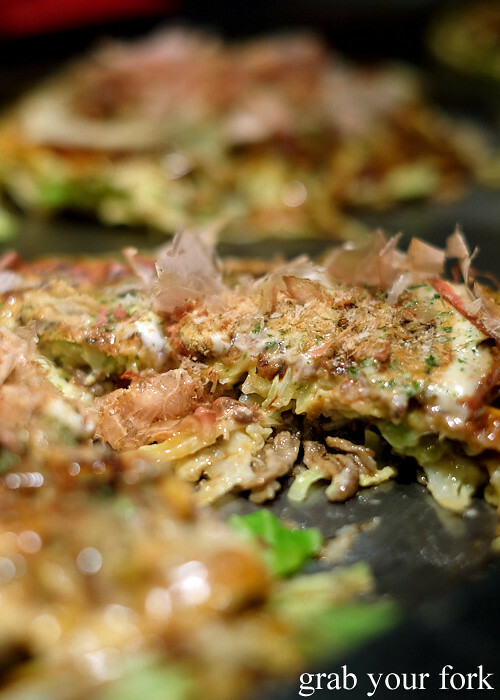 The toppings across the top are similar to takoyaki: katsuoboshi shaved bonito, a fruity okonomiyaki sauce and several shakes of dried seaweed flakes. On another night we end up in a random sushi train joint, loading up on cheap plates of sushi. 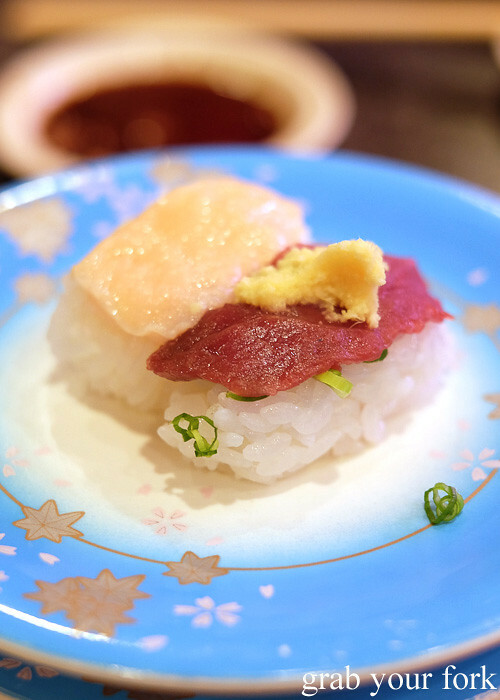 We dabble through the usual salmon, raw scallop, tuna and crab until we spot a particularly odd looking plate of sushi that looks like raw beef but not. 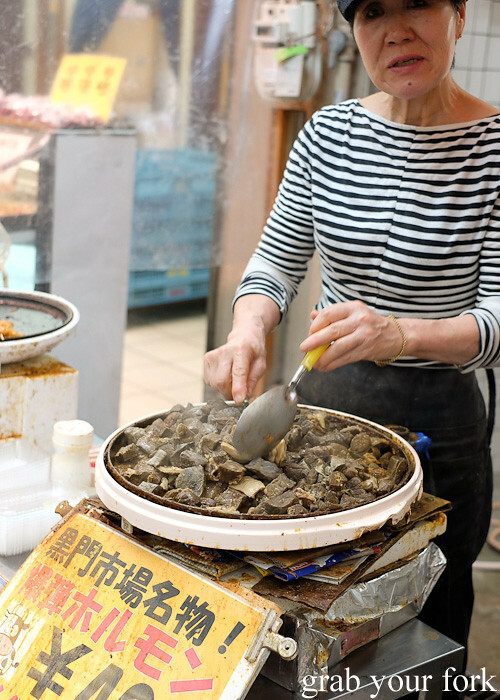 It takes a couple of charade actions with the chef to confirm that yes, it's basashi or horse sashimi, a raw meat and fat duo obtained from the neck. 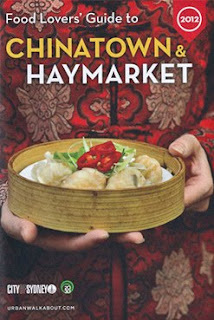 I give it a go in the name of gastronomic openness. The meat is lean and strong in flavour. The fat is thick, hard and chewy that I have to eventually swallow in large chunks just to get it down. It's wildly different to anything I've ever eaten before. 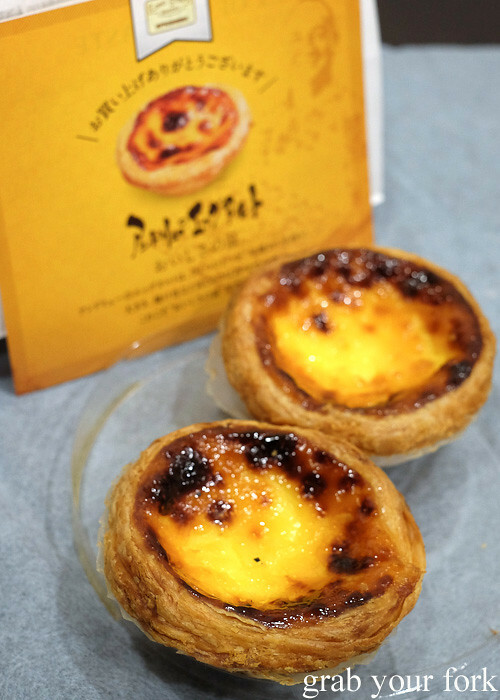 On a late night wander through Dotonbori we stumble upon Lord Stow's Bakery, a famous egg tart bakery started by Englishman, Andrew Stow, in Macau. 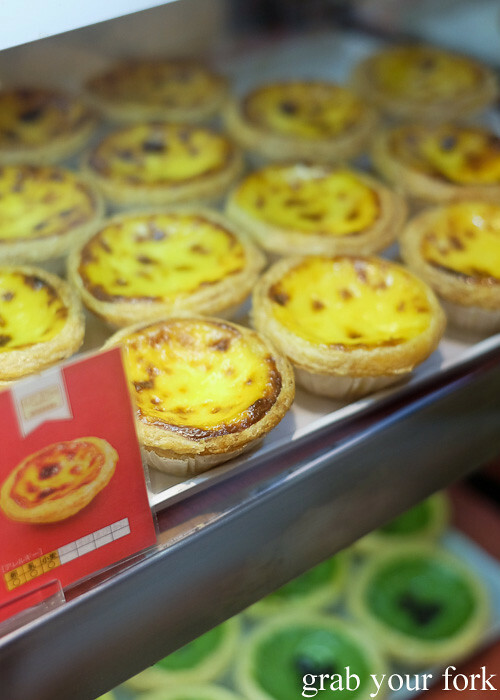 Based on the Portuguese egg tart so popular in Macau, Andrew is said to have added his own English touch to local recipes. 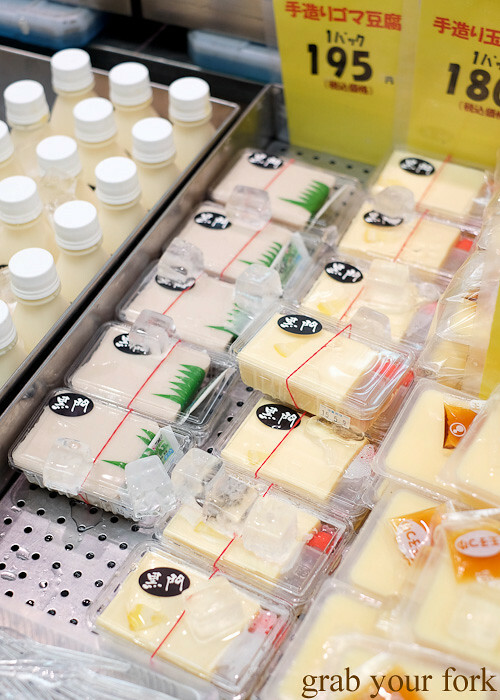 The bakery hit such stratospheric popularity it has now expanded to Japan and the Philippines. We find the pastry isn't as noisily crunchy and flaky as some of the Portuguese tarts you can get in Sydney, but the custard is super eggy, with an elegantly smooth and silky mouthfeel. 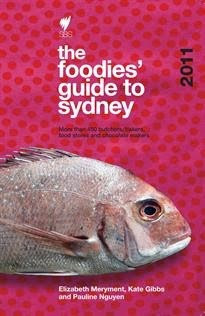 They're also modestly priced too, at less than AU$2 each. and a can of grape Fanta that tastes just like liquid bubblegum. 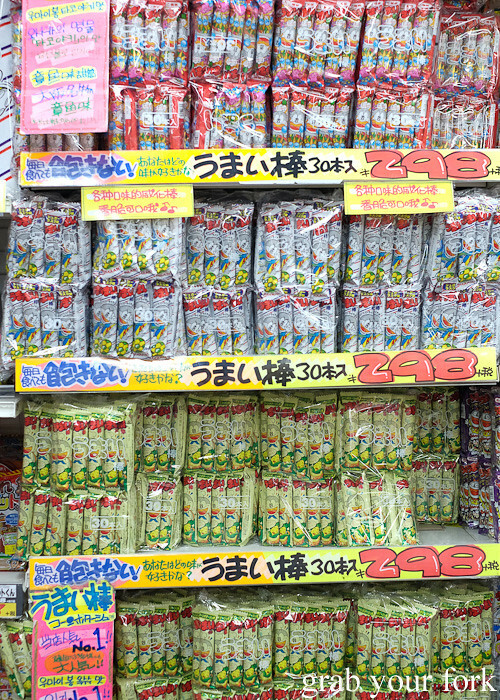 If I'd had the luggage space, I would have bought one of the giant bags of umaibo, hollow cylindrical corn puffs that are favourites with Japanese school kids. The corn potage flavour is so good! And if I'd had more money, I'd have bought one of these plastic sushi displays from Sennichimae Doguyasuji, the kitchen alley of Osaka lined with crockery shops, kitchenware stores and everything in-between. 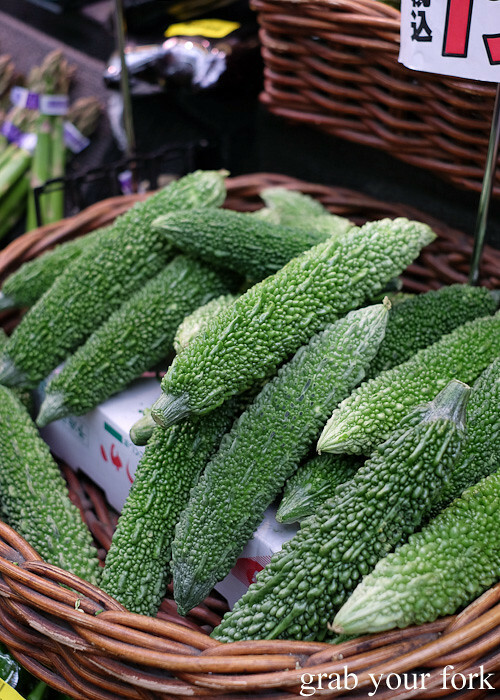 It can be hard to kill time between meals so we often ended up at markets, ironically looking at more food while waiting to get hungry again. 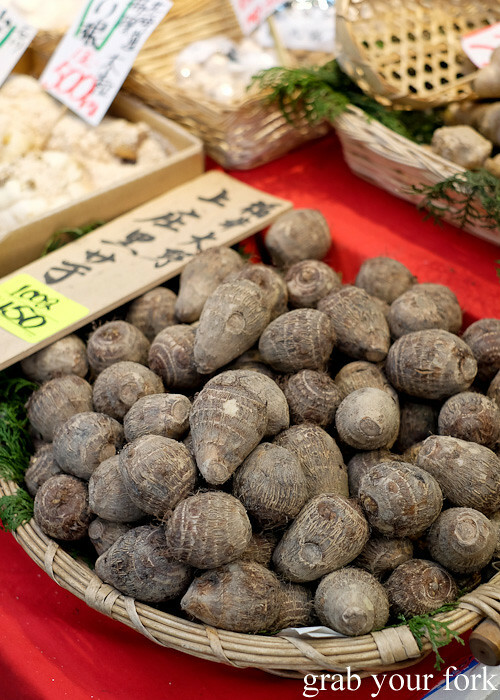 Kuromon Ichiba is only a stone's throw from Sennichimae Doguyasuji, and one of Osaka's oldest markets having been established in the early 1900s. 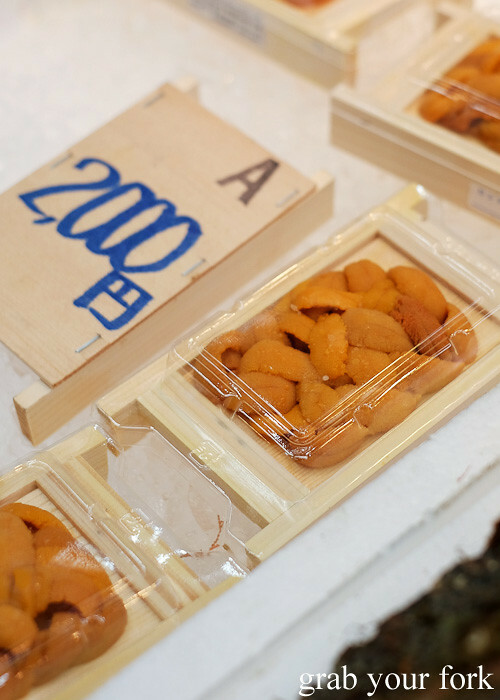 About 170 stalls run its 600-metre length. 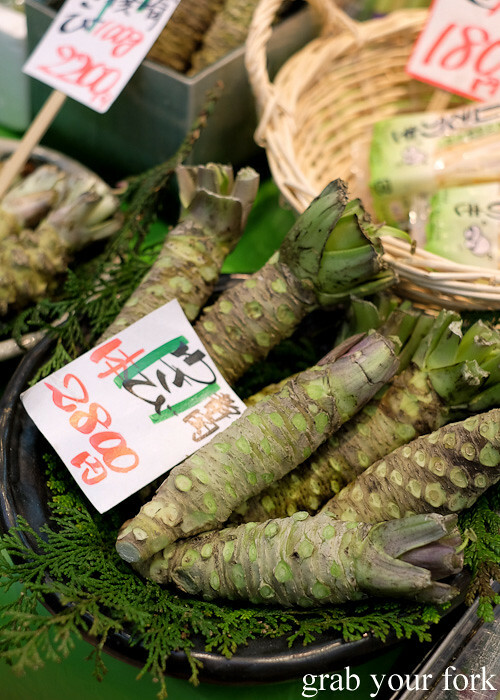 It covers everything from raw seafood to fruit and vegetables to tofu. 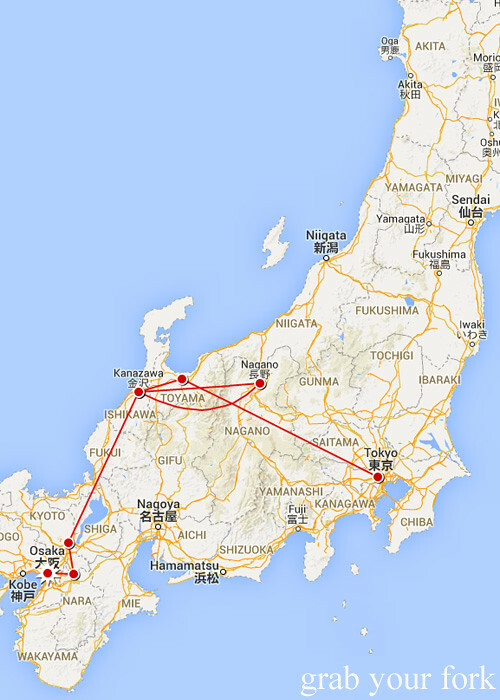 We walked a lot during our Japan holiday. Maybe that's why we often ended up so ravenous all we could think of was meat. And that's where all-you-can-eat yakiniku came in. Oh yeah. 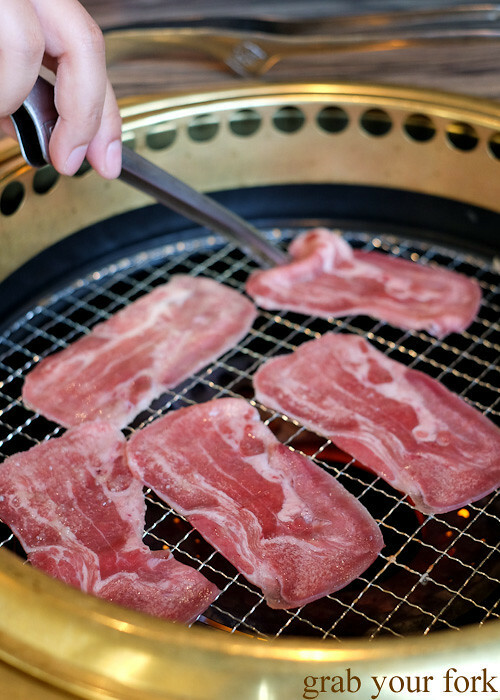 Gyukaku Yakiniku is one of the biggest yakiniku or Japanese barbecue chains in the country. 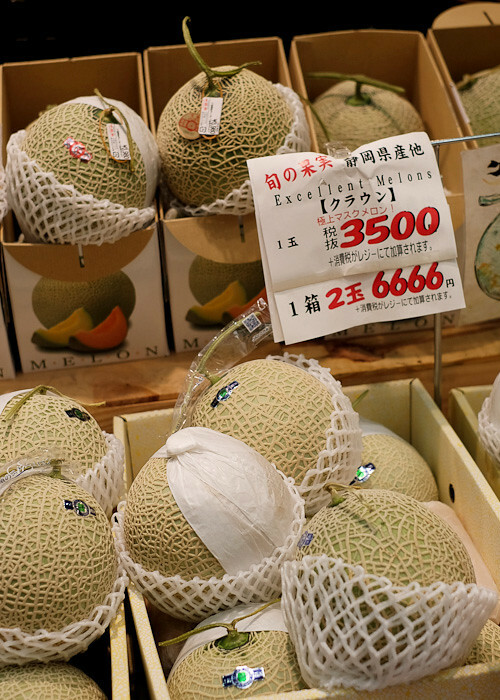 There are about 800 outlets across Japan. They're also open in the United States, Canada, Hong Kong, Thailand, Taipei, Indonesia, Malaysia, Singapore and the Philippines. 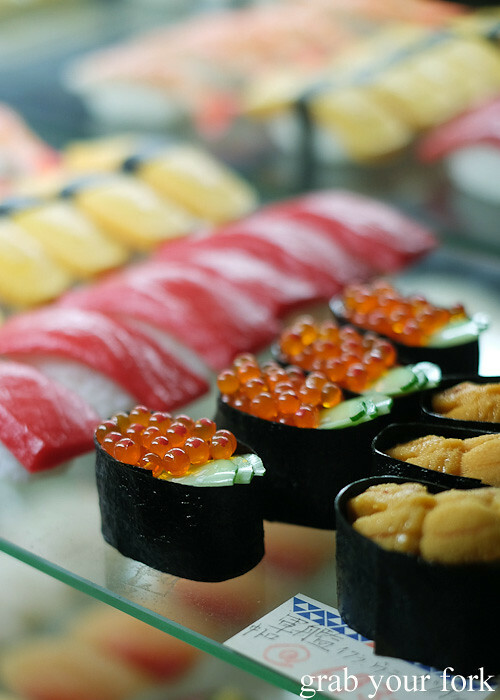 We go for the premium buffet menu which gives us unlimited orders of over 100 dishes for 3580 yen or AU$39.40 in a 2.5 hour period. And oh boy do we eat. 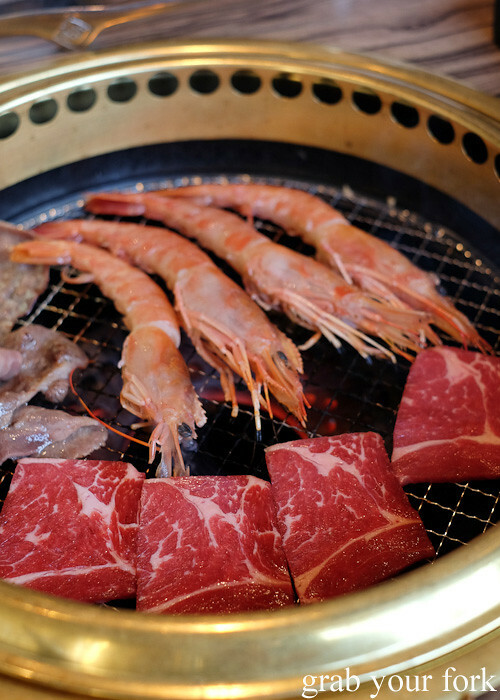 We indulge in a massive protein fest, searing seafood and meat over glowing coals of charcoal. 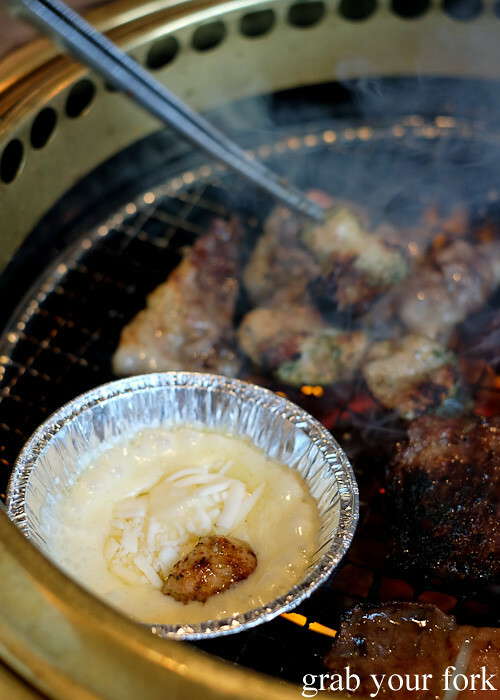 The marinated chicken with cheese fondue - a foil cup of grated cheese that you melt over the grill - is dangerously tasty. And whoah, did we go to town on the scallop orders. If the restaurant made minimal profits that day, it was probably due to our voracious appetites. And sure we did non-food touristing. 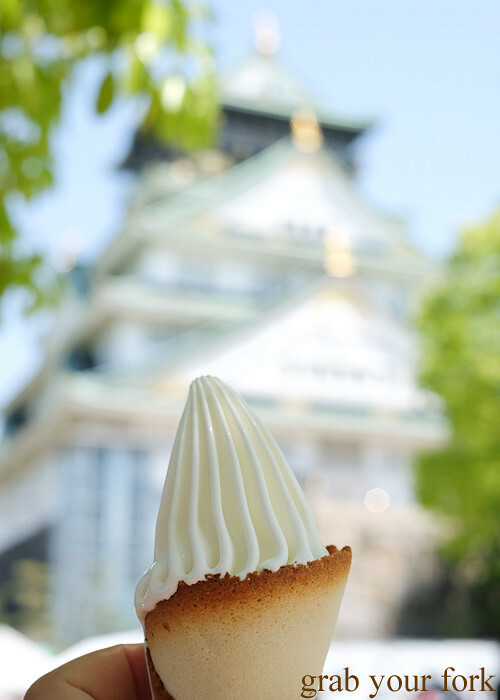 We made it to Osaka Castle... where we ate ice cream. The Hokkaido Cremia is noted not just for its trademark vertical piping, but also its presentation in a langue de chat cats tongue wafer. 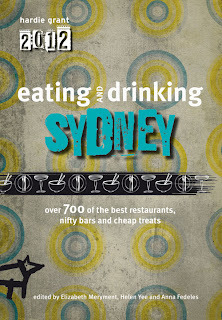 And in case you missed it, I was on Radio National on Monday talking with host David Mackenzie about the demise of Sizzler and what this says about Australia's changing dining habits. The podcast for this show is currently available online here. You'll have to fast forward to the 50:40 mark to get to my segment. Meantime I'll be making myself some Sizzler cheese toast. I love your writing, Helen. I could see and feel my fingers burning as I took those hot takoyaki out of that boat shaped dish. You certainly find all the best food. 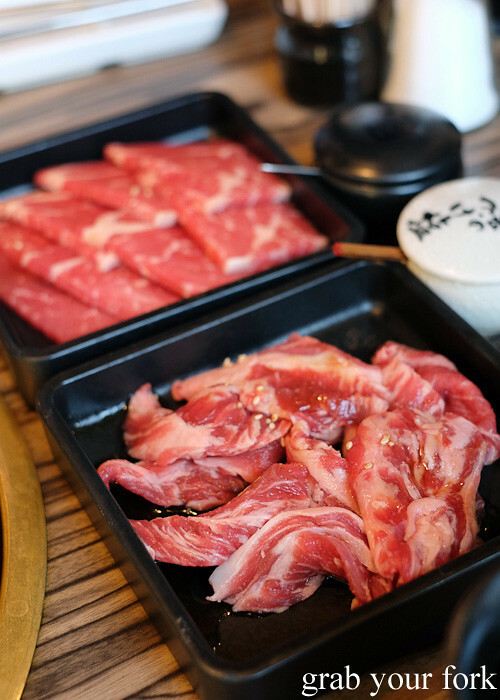 I'm drooling over the yakiniku - why did I know about this place when I was in Japan? 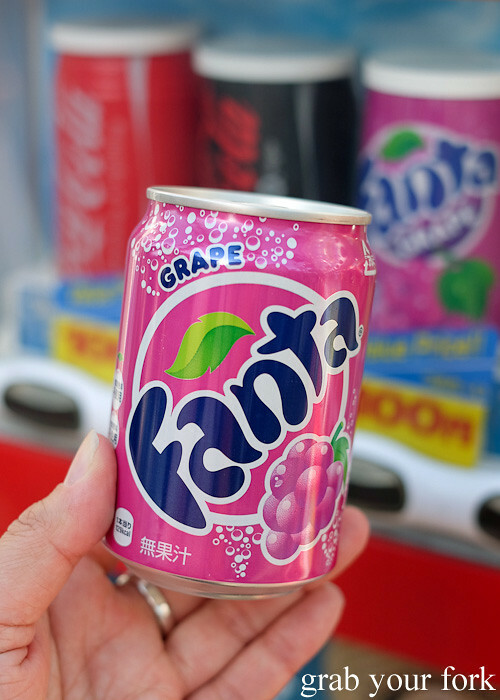 Must bookmark this page for the future :D Oh and I love grape fanta - I swear it tastes better in Japan then the ones we have in Australia! Takoyaki is my number one Japanese food item. I adore them. And that crowd in Shinsaibashi! I feel tense just looking at your photo of all those people. Errmahgerd I want that all you can eat yakiniku!!! 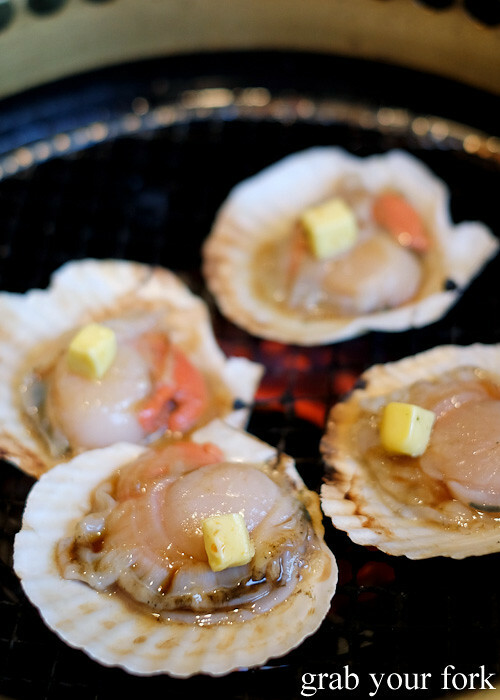 Will smash to scallops with butter too lol awesome photos Helen!! 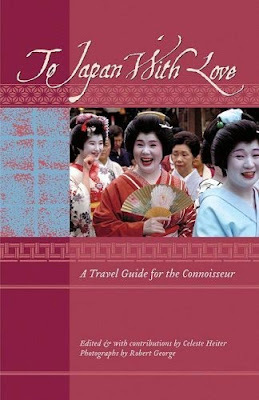 So jealous of this Japan trip Helen - it looks so amazing (I've been to Osaka years ago and this is making me so keen to go back). 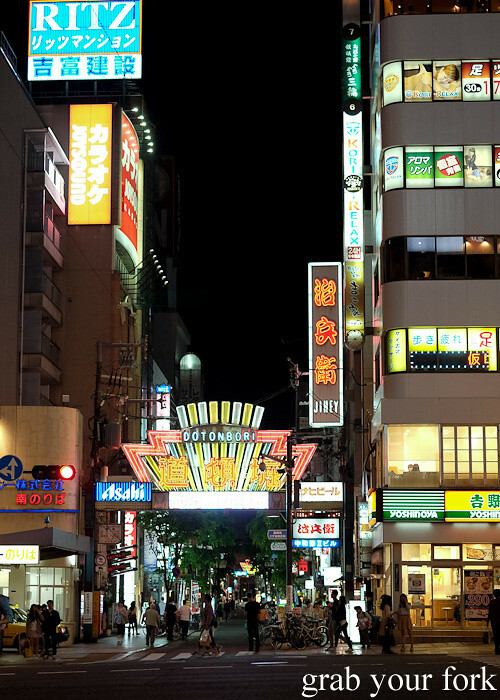 Osaka is one place in Japan I want to spend more time in. Have only had an overnighter there. Thanks for the inspiration to do so Helen. All the food looks so good, just as well my dinner is ready. The okonomiyake has to be my favourite. 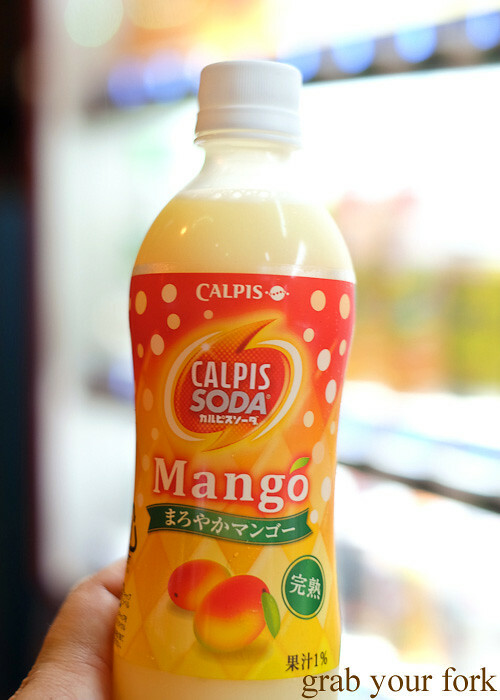 Such good memories of the food in Japan, thanks for refreshing them and my taste buds Helen. Takoyaki are just as dangerous as Xiao Long Bao! 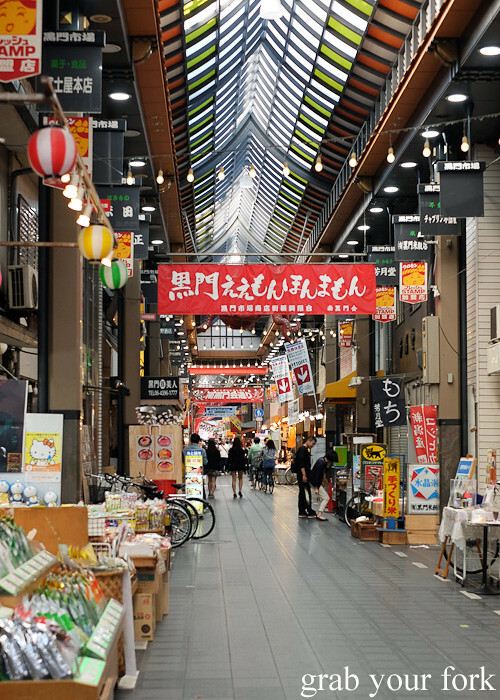 When we were in Osaka recently we stayed right near the Kuromon markets - I thought they were great and felt less touristy than a lot of the other markets we went to. 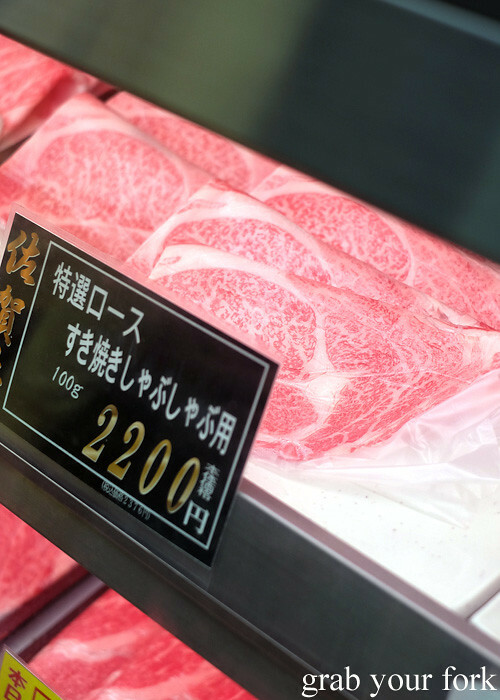 We saw someone buying $300 worth of sukiyaki wagyu there! This looks like a place that you enter one dress size and come out one size larger! Everything looks so good! My Dad is French and he tells me horse meat is like the best and most expensive fillet steak you have ever had. Having said that I'm not sure I could bring myself to eat these noble creatures!